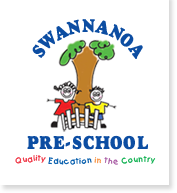 As a community of learners, Swannanoa Preschool provides quality education in the country, we believe in respecting ourselves, each other, and the environment. We have created a safe, warm and welcoming centre, into which we invite, honour and respect each individual child and their whānau. Meaningful relationships are key to us here at Swannanoa Preschool and we work hard to create and nurture strong relationships between tamariki/children, whānau/family, rōpū mahi/staff and iwi whānui/community. Communication is vital in these relationships. We believe in 'interdependence', tuakana teina, between children and teachers, between younger and older children, between whānau/families and the preschool and relationships with the wider world around us. Learning takes place when a child has a strong sense of well being and belonging, this learning must be at the pace at which the child feels comfortable and safe. Through providing a wide range of learning opportunities we are creating lifelong learners with a positive and curious attitude toward learning. Our learning partnerships between kaiako/teachers, parents, and whānau/families play a key role in our children's learning. We believe in empowering each child to develop their own sense of identity which will give them the confidence, courage and resilience to explore new situations and develop meaningful relationships. 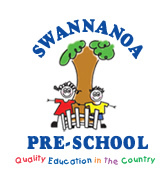 Swannanoa Preschool reflects the unique place of Māori as tangata whenua. We embrace cultural diversity through our environment's, languages, resources and relationships. We are committed to providing and promoting a sustainable environment for a better Aotearoa, and ensuring our children have a lifelong respect for their natural environment and the world around them. We employ and support qualified ngā kaiako/teachers and ngā kaiako/teachers in training to ensure the best learning outcomes and care for our tamariki. We are committed to ongoing professional learning and support for all of our ngā kaiako/teachers and rōpū mahi/staff. Most of all we believe in the power and wonder of the child, our children. Te nuinga o nga mea katoa e whakapono ana tatou i roto i te mana me te miharo o te tamaiti , ta tatou mau tamariki.